readroundoz | I'm reading my way around Oz – literally! A thought provoking novel, I was reminded how much heartache comes from the secrets we choose to keep. Whilst not particularly fast-paced, the plot compelled me to keep reading and I did enjoy Sylvie’s journey as she searched for answers to her sisters death years earlier. Unfortunately, and it’s a very personal comment, but I had a lot of trouble with the writer’s choice of name – Persephone. I respect the detail author’s work so hard to include so I am a careful reader. I do not skim. For this reason, I stumbled over the name Persephone, which seemed to be on every second Kindle page! Perhaps the name is very dear to the author. But if it was chosen because it was different/uncommon (and some authors seem to look for the unusual) it did impact on my enjoyment. I ended up calling her Percy, which probably annoyed me more, but I simply couldn’t get my tongue around Persephone that many times. Thank you for the opportunity to read The Winter Sister. I would definitely recommend this book. From the vibrant colours of India to the meadows of Ireland to the harsh but beautiful Australian land, a family fights for their future. I loved the look of this family saga story, the title, the cover, the era. But the plotting failed to hold my attention for the duration. The most Interesting part for me was the family’s move to Australia and the resulting struggle to survive. I would have preferred the story focus more on the homestead on the river! I like my Australian fiction set in Australia. I felt the descriptions of Raj in India and the time in Rathgarven in Ireland, while important, dragged me away and I couldn’t wait to get back to the Australian story. This is a very personal comment. I’m sure many readers love the Irish threads. I found they slowed the pace – for me. Overall, I was keen to follow the story of the family when they were in Australia and the plot was well thought out. Drawing on Charlie’s largely unknown story, and filling in the gaps with fiction, the author has created a novel unique in Australian literature. An unprecedented adventure, and a passionate love story – Whistler’s Bones is both a celebration of the good things in the settlement of Northern Australia – and a damning indictment of the bad. I have read all Greg Barron’s earlier works and loved them. He never disappoints. His plotting, pacing and the pride in making every word count makes a Barron book a delight every time. Rather than bashing out one book after another, Barron is an author who cares as much about the reader’s experience as he does the story he’s telling. Whistler’s Bones is a step away from his earlier general fiction novels. The book’s unique docu-drama style (blending fact with fiction) is expertly handled and the storytelling enhanced by rigorous research and the resultant journal entries throughout. The story is about Charlie Gaunt, a young man with a fascinating life, who made his way in the harshest of times — living, loving and working the great Australian landscape and all that comes with it. The manner in which this story is written allows the reader a glimpse into the real world of the men in our outback and whilst different and uniquely Australian, the storytelling is authentic and passionate and I loved reading every word. Well done Greg and I look forward to more insightful stories. Once again I was captivated by this author’s plotting. The Scholar did not disappoint. That said, I was not as taken with this book as I was the first of the Detective Cormac series – The Ruin. The main reason being, I felt removed from the story. I was reading about the murders but lacking clues/hints as to the killer’s motives, etc. Until at the end, once solved, and I got it. The research facility’s work being carried out by Cormack’s girlfriend, Emma, was a crucial part of the plot, but I felt this was brushed over. I wanted more detail about the research and the risks. Second novels are always compared to the first, especially one as special as The Ruin, which remains a top read for me. The Scholar was certainly compelling and I rarely put the book down. I read every chance I got and enjoyed the story very much. Well done. Cormac is an excellent character and I look forward to the next adventure. Meet Evie, a young woman held captive by a man named Jim in the isolated New Zealand beach town of Maketu. Jim says he’s hiding Evie to protect her, that she did something terrible back home in Melbourne. Jim says he’s keeping her safe. Evie’s not sure she can trust Jim, but can she trust her own memories? When it comes to books, especially thriller/suspense/crime genres, I tend to rate the experience on my need to keep reading. This one is described as a taut, intelligent psychological thrillerand whilst enjoying the story, I did find myself putting it down more often than I usually might with this genre. The opening certainly hooked me and the writing is competent, but the plot was reliant on an element towards the end that, rather than being a clever twist, was convenient change of POV and left me feeling a little underwhelmed. That said, a good first novel. A compulsively readable story of passion, adventure and a woman’s quest for independence set against the colourful backdrop of 19th century Bendigo and the goldfields of Ballarat. 1854, Ballarat, Victoria When Nell Amberton’s husband is shot dead by a bushranger, there are few who grieve his passing, and Nell least of all. How could she miss the monster who had abused her from the day they wed – the man who had already killed his innocent first wife? But his death triggers a chain of events that seem to revolve around the handsome bushranger who murdered him – a man to whom Nell, against her better judgement, is drawn. But Nell has far more than a mysterious stranger to worry about. With a mess of complications around her late husband’s will, a vicious scoundrel of a father trying to sell her off in matrimony, and angry relatives pursuing her for her husband’s gold, she is more concerned with trying to ensure her safety and that of her friend, goldfields laundry woman Flora, than dealing with the kind of feelings that led her astray so catastrophically before. After the violence on the goldfields, Nell’s fate also hangs in the balance. It seems that, after all, she might need to do the one thing she has avoided at all costs … ask for the help of a man. Darry Fraser has shown tremendous consistency. 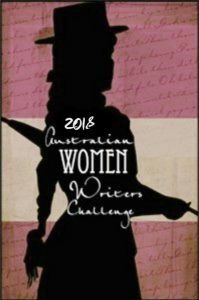 Her novels transport the reader to a time in Australia’s history when downtrodden women were mistreated and their marriages arranged. Then she gives her readers a character to care about and Nell—a survivor of abuse by a controlling father and husband—is determined to stay strong and independent. Nell is also smart and while asking a man for help is the last thing she wants to do, there is a handsome bushranger on hand, who ends up helping Nell in her fight for freedom. Classic Australian historical romance and I loved it. An excellent portrayal of the era, captivating characters, and a vivid landscape, makes for a great read. Thank you for the opportunity to read this novel. I look forward journeying back in time with Darry again. I am sorry to say I found the surfacing of those long-buried truths way too slow for me, while the characters (who lacked concern and failed to take action) didn’t make me care for them in any way. I was often confused as to who some characters were and in what way they moved the story forward. The conflict also did not seem significant enough to sustain suspense. I felt the issues could have been dealt with through communication, especially between Roland and his mother. A novel that did not live up to the blurb, in my opinion. Review quotes on this novel use words such as “sinister, captivating, gripping, and creepy.” Often, with descriptions like this’ I can be left wondering what book readers are referring to. In the case of Forget My Name, I totally agree with all these words. This novel is sinister, captivating, gripping, and creepy and I love that! It is hard to know if the woman at Tony and Laura’s door is genuine, or an absolute psychopath. I did think, about half way thru the book, that the author was using a secondary plot to perhaps pad out the story. Whether or not that was the case, didn’t matter as I did enjoy how the threads came together. Telling too much might give too much away, but the one thing I will say is, if you’re worried about your memory (maybe you are starting to forget simple things…) beware of this story!!!! Mercilessly bullied in high school, Ava knows she needs to put the past behind her and move on, but she can’t — not until she’s exacted precise, catastrophic revenge on the people who hurt her the most. First, she watches Saanvi. Flawlessly chic and working hard at a top architectural firm, Saanvi has it all together on the surface. But everyone does bad things when they think no one is watching and Ava only wants what’s fair — to destroy Saanvi’s life the way her own was destroyed. Finally, Ava watches Mel. Mel was always the ringleader and if anyone has to pay, it’s her. But one tiny slipup and Ava realises the truth: Mel knows she’s being watched, and she’s ready to play Ava’s games to the bitter end. This novel does a great job of portraying the two sides of bullying. Written in first person, with an unreliable narrator, I enjoyed the structure and storyline and I was keen to get to the end to see if my expectations (of the plot/twist) would be met. I can’t comment on those expectations (due to spoilers). Suffice it to say, I was NOT disappointed. Junior and Henrietta live a quiet, solitary life on their farm, far from the city lights, but in close quarters with each other. They raise chickens and they work at the local feed mill. One day, a stranger from the city arrives at their door with alarming news: Junior has been randomly selected to travel far away from the farm… to settle somewhere very far away. The most unusual part? Arrangements have already been made so that when he leaves, Henrietta won’t have a chance to miss him, because she won’t be left alone – not even for a moment. Henrietta will have company. Familiar company. Told in Reid’s sharp and evocative style, Foe examines the nature of domestic relationships, self-determination, and what it means to be (or not to be) a person. An eerily entrancing page-turner, Foe churns with unease and suspense from the first words to its shocking finale. I appreciate the opportunity to read Foe, but not every book is for every reader.